Stop, we know what you’re already thinking. Why are we comparing a year old smartphone against one that’s brand spanking new to the scene? 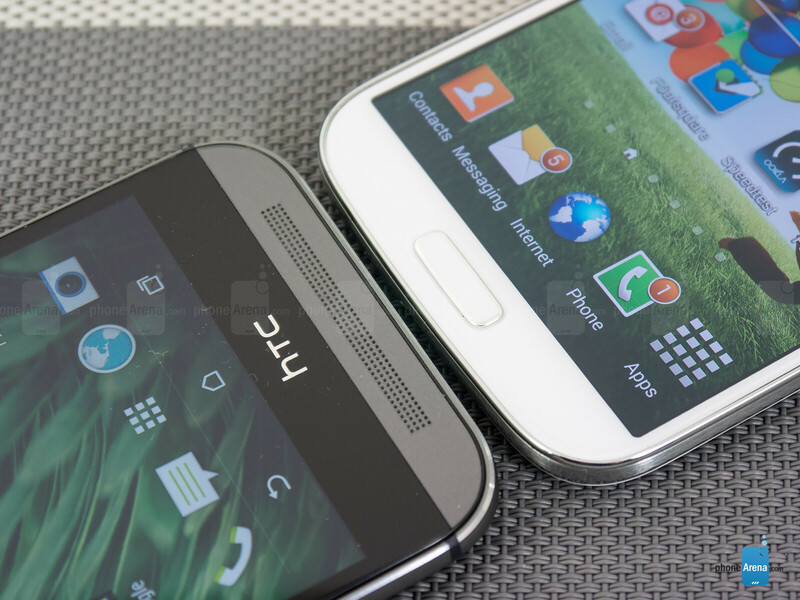 Obviously, the newer device will naturally have some hardware advantages, but seeing that Sammy’s upcoming flagship smartphone (the S5) has yet to launch officially stateside, it’s still intriguing to find out exactly how its flagship from last year, the venerable Galaxy S4, compares against the new HTC One. There’s no arguing who won the flagship war last year in the Android space. HTC was actually first out of the gate to release its premier smartphone, which was soon trumped by the obnoxiously feature-rich Galaxy S4. However, now that the new HTC One is here in all of its glory, some of you folks are probably curious to determine exactly how the new HTC One can overpower Sammy’s Galaxy S4. Being the newer device doesn’t translate in becoming the automatic winner, seeing that it requires more than cutting edge hardware to prove to consumers that it’s superior in every way, shape, and form. Ultimately, you’re going to have to look at the results and determine for yourself which of these prized possessions has the guts and performance to make an everlasting impression on you. Frankly, the Samsung Galaxy S4 and its polycarbonate plastic construction screams dullness in comparison to the all-metal cladded body of the new HTC One. There are particular advantages with the two types of materials of course, as the plastic casing of the Galaxy S4 enables it to be the lighter (4.59 oz, while the One is 5.64 oz) and more streamlined device (0.31” thick vs 0.37” for the One). As much as those are two pleasing qualities for any high-end device, it doesn’t do enough to take away from the solid construction and stylish look of its rival. In fact, the enhanced industrial look of the new HTC One is a sight to behold by itself, telling us instantly that there’s more love and care put into its overall design. Metal just screams sturdiness, which is what’s apparent here between them! Improving upon the foundation set by its predecessor, the chassis of the new HTC One pushes the boundaries more than ever by sporting a body that’s comprised 90% out of brushed aluminum – it’s just seamless, clean, and has more stylish points than the Galaxy S4. Holding the two in our hands, we can’t say that one necessarily feels more comfortable than the other – primarily due to the subtle curve of their casings, which deliver nearly the same ergonomic feel. However, we should point out the slimmer overall size of the Galaxy S4 (5.38 x 2.75 x 0.31 inches), making it just a smidgen more pocket-friendly than the HTC One (5.76 x 2.78 x 0.37 inches). Taking a peek around the trim of both handsets, they’re sporting nearly the same set of ports and buttons – they include their power buttons, volume controls, 3.5mm headset jacks, various microphones, microUSB ports for charging, data, & video-out connectivity, and their IR blasters. Without a doubt a signature offering from HTC, we really appreciate the dual front-firing speakers with HTC BoomSound on the HTC One, which has a placement that makes more sense than the single rear-speaker of the Galaxy S4. Fortunately for the new HTC One, it’s now sporting an always-useful microSD card slot, which is perched along the left side of the phone. Indeed, it’s something we desperately wanted from the beginning with its predecessor, but accessing it is a bit more complicated than the Galaxy S4’s slot. Specifically, it requires that pinhole sized adapter to access. Even though the microSD card slot is found behind the rear cover of the Galaxy S4, the process in accessing it is less cumbersome. The S4 also has a user-replaceable battery, while the battery of the One is sealed. There was a common theme with the crew of flagship phones released last year, the majority of them flaunted displays that hovered at or above the 5-inch mark. 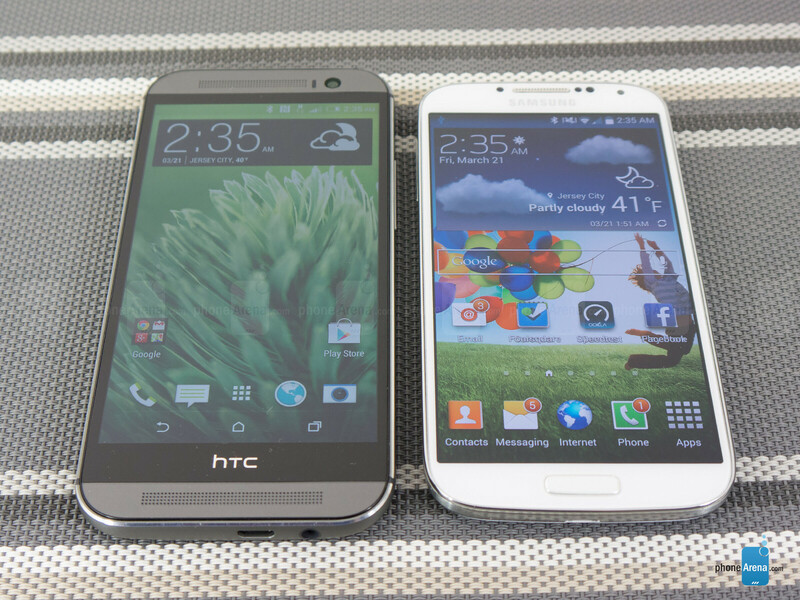 Out of them all, the HTC One seemed like the lone wolf with its smaller 4.7-inch display. However, the new HTC One features a 5-inch 1080p Super LCD-3 display with Gorilla Glass 3. On one hand, we applaud the increase in size, but we need to point out that last year’s Samsung Galaxy S4 packs along a 5-inch 1080p Super AMOLED display with Gorilla Glass 3. Well people, there’s no surprise that the two deliver the same pixel densities of 441 ppi, giving the two displays enough clarity and detail to make them super sharp to the eye – so there’s not one display that’s superior in the details department. Considering that they employ different display technologies, it becomes a matter of preference as to what you feel is the more attractive screen. Interestingly enough, the two panels produce colors that are vibrant and punchy in tone – though, the Galaxy S4’s AMOLED panel has that distinguishable oversaturated look with less accurate colors. Certain to catch more prying eyes with its iridescent glow in the dark, it lacks the superior outdoor visibility established with the HTC One’s Super LCD-3 panel. Whereas we’re able to view things on-screen properly with the HTC One’s screen outdoors with the sun present, the Galaxy S4’s display washes out and becomes nearly unviewable. The specs point to an even battle, but the Galaxy S4 is packing along some additional tech that extends its worth. Some love it, some hate it, but the Galaxy S4 has the ability to track our finger as it’s hovering over the display. It’s a feature that works hand-to-hand with its various Air View functions, but some people could care less about it. waste of an article, your justification for comparing it to the s4 is dumb, sorry. i just read this back and realised how rude it sounds, my bad. the time between releases of the phones is surely what you should use though. Don't you dare be sorry. If anything, I think you were being far too kind! It wasn't a waste for someone, like myself, who is considering an upgrade to the HTC One M8 and currently owns the Samsung Galaxy S4. The real waste was in you taking the time to leave such a negative comment that's of absolutely no value to anyone. Why did you even read this article if you weren't interested in the comparison?! Got the review unit already? Did Samsung pay for this review? 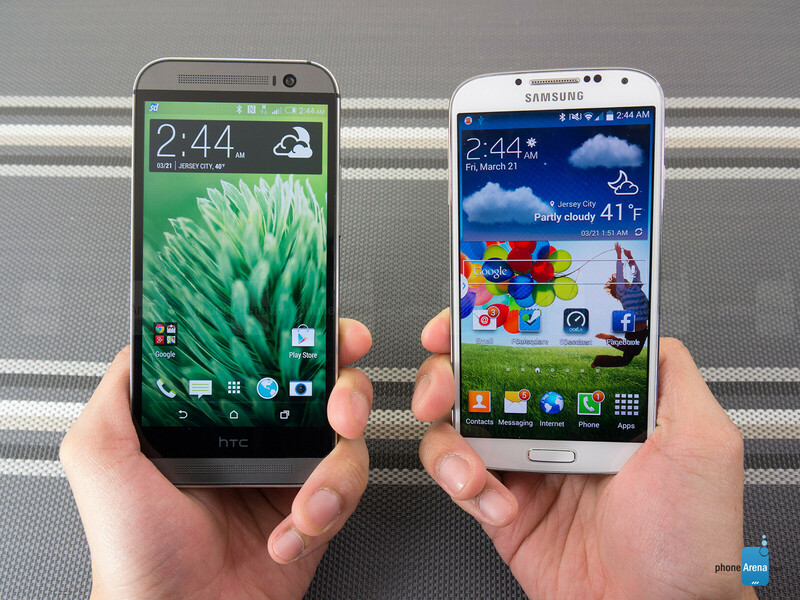 Biased to hell, why would you compare htc one m8 with the galaxy s4 first of all. 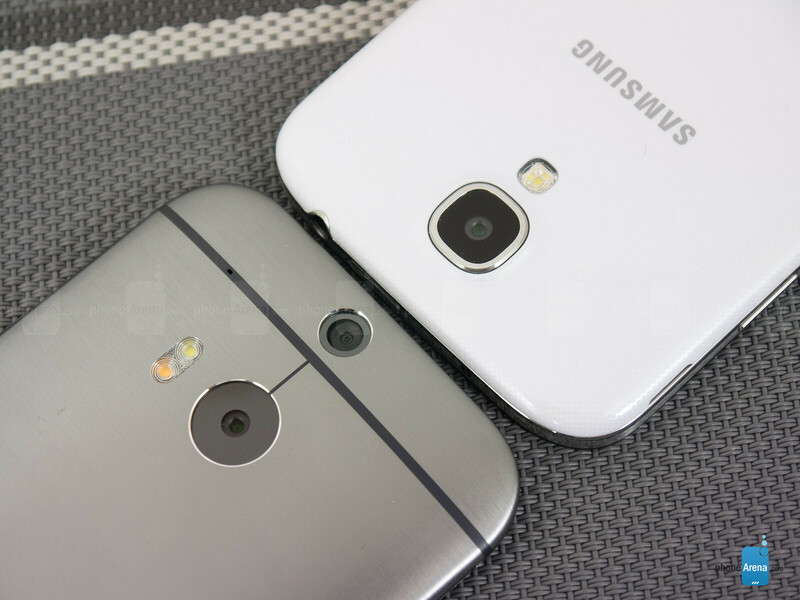 Besides that, overall htc one m7 is a better phone than s4. Not really no. The M8 is a Big fail. IMO, I think it's a good practice to make this kind of reviews and it's just because for people who owns a SG S4 that wants to know if it's really worth it to pay for a brand new device that will not make that huge difference compared to what they currently have. I really wanted to change my S4 and I was expecting more from HTC, I'm not saying the M8 is a fail, but certainly it is not a marvel, I'm just saying that I wanted something impressive. I think I'll save some bucks and wait until next year. Lol the dimensions of the S4 sound SO much more appealing than these 2014 giants that it's not funny. Let's hope LG doesn't drop the ball. They are our last chance because I am pretty sure Motorola is going to drop it hard again by putting in a weak processor and removing some cores. HTC M8 essentially has a 4.7 inch screen thanks to the on screen buttons. 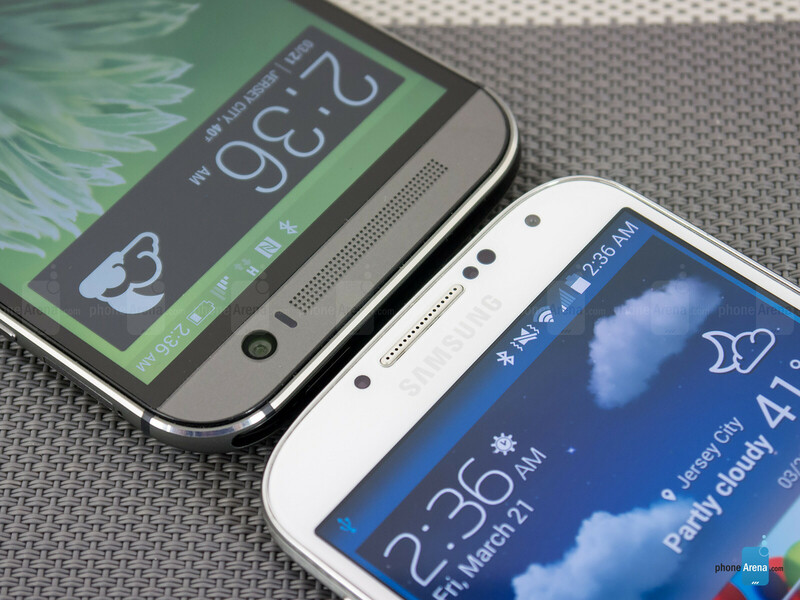 The screen looks way bigger on the GS4 in the display comparison. Good review ! Thnx for the very useful comparison. If money would be no issue i would go for the M8 without a doubt. THAT battery life! Even better than G2?! I know its one year apart so HTC is guarenteed to have better specs overall. However, for people saying s4 is better or deciding between the two, please see my side. 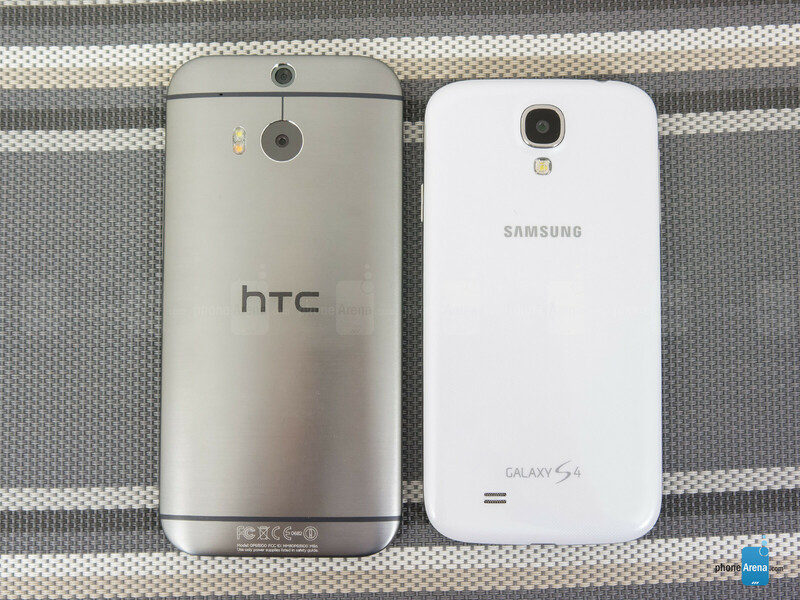 I'm going to get htc one m8 this weekend after using s4 for half a year because of couple reasons. Just to be clear, I don't hate everything about the s4, just certain aspects that has convinced me HTC is better. Looking at reviews, htc sense is overall clean and responsive. After couple weeks, I noticed s4 being sluggy when exiting applications and just using the phone in general. Battery life on the s4 is unexpected as turning on most of the features it provides drains it quickly. I don't need that many features so htc wins me over again. And just to throw it in here, the build quality is no competition. Next on their list, PS4 VS. Atari 2600.